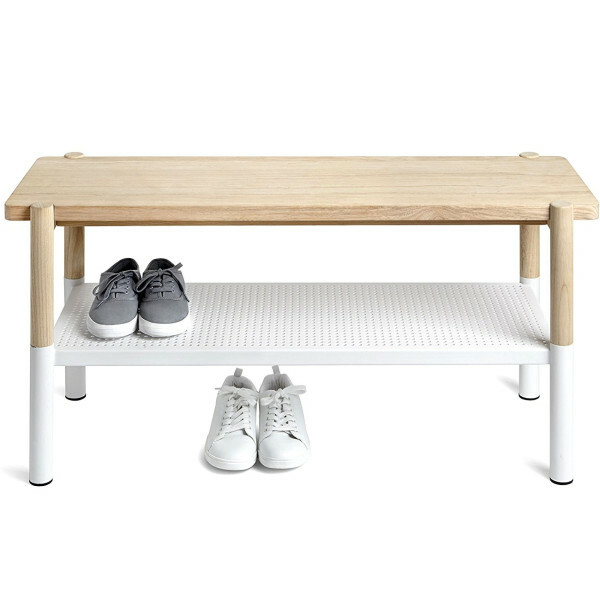 2-in-1 entry way bench with storage for shoes and other items. Made with ash wood and perforated steel. Holds up to 4 pairs of shoes.